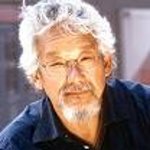 Environmentalist and activist David Suzuki's new episode of The Nature of Things highlights some surprising and bold South American initiatives that contribute to economies while considering environmental impact. Worried about the usual path of economics and development, Suzuki is delighted to share these new perspectives and ideas that benefit not only nature, but societies as well. Unique to Ecuador, the rights of Pachamama (Mother Earth) are written into the constitution. When a road building company came into the country’s Loja province and began dumping rocks and dirt into the Vilcabamba River, the river’s width was narrowed causing a faster running waterway. When a flash storm wiped out much of Richard Wheeler and Eleanor Geer-Huddle’s property, they decided to sue the provincial government on behalf of the river. Pachamama won. The river must be returned to its original condition. Another groundbreaking program in Ecuador is the Yasuni-Itt Initiative. The Yasuni National Park on the east side of the Andes is thought to have the highest biodiversity in any ecosystem on the planet. “In one hectare in Yasuni they discovered more different species of trees than we have in all of North America, from Alaska to Mexico,” says Suzuki. But below the park is a massive deposit of oil. Rather than ruining the park to extract the oil, and rather than burning the oil and contributing to the carbon in the atmosphere, the Ecuadorian government proposed to the UN to leave the oil in the ground in return for international support to put towards conservation, reforestation, social development of the indigenous communities that live in the Amazon, and renewable energy science, technology and investigation. Instead of receiving an estimated $14 to $20 billion in oil revenues over 13 years, Ecuador aims to receive around $3.6 billion while protecting the rainforest. “Compare Ecuador, which is a much poorer country than Canada,” says Suzuki. "We look at the tar sands in Alberta, and whoa! Forget the fact that to get that oil is unbelievably expensive in ecological terms. We just want at it to get whatever money we can get out of it and never consider the possibility of leaving it in the ground, and possibly find other economic means, as Ecuador is searching for. Andean Adventure aired on January 10.